Brennan C. Kelsey graduated with B.S. in Physical Therapy from the Louisiana State University Medical Center in 1995. Since then he has worked as a Staff Physical Therapist at McComb Physical Therapy, and as a Manager/Physical Therapist at Novacare Outpatient Clinic until 1999. 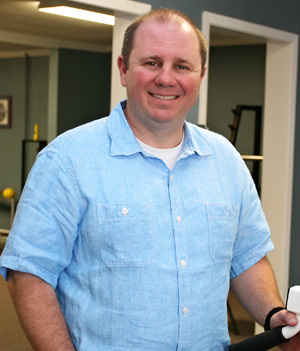 From 1999 to October of 2010, Brennan acted as Owner and Physical Therapist for the Rehabilitation and Sports Care Center in Amite, LA. During the time he went back to school to complete his Masters of Business Administration at Southeastern Louisiana University in 2006. In November of 2010, Brennan then opened Kelsey Physical Therapy in Amite, LA where he has been acting as Owner and Physical Therapist. Here at Kelsey Physical Therapy, he provides physical therapy care for patients in his clinic, as well as also providng home health care solutions. Brennan has been married to Donna Cuti for 22 years. They have three lovely children together: Kayla, Brennan, and Keegan. ©2012 | Kelsey Physical Therapy | All Rights Reserved.